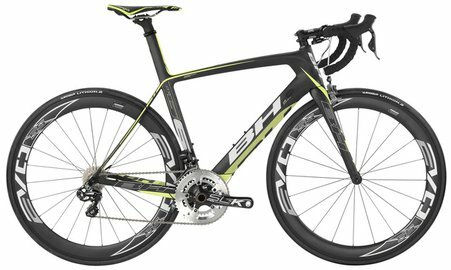 BH G6 PRO Di2 is a thoroughbred racer. It is made to be driven hard, fast and a lot. It is aerodynamically designed to reduce air resistance so you can ride faster. It is very light and helps you to climb easier. It is stiff so you will get the power directly in the ground. It makes you a faster cyclist and you will love it! Shimano Di2 11 speed electrical gears makes shifting fast, accurate, and it helps you at all times. Choose the right cassette depending on where you are going to ride.